Singapore Incorporation Online provides corporate services including the registration of companies and businesses in Singapore, compliance and tax advisory services and immigration services including application for work visas and other business related visas. Singapore Incorporation Online is a full-service corporate service provider company providing a full range of corporate, compliance, tax and immigration support services. From the ground up, Singapore Incorporation is operated by fully accredited team of experts to bring you the best possible service in Singapore. Singapore Incorporation Online’s accounting division is staffed by members of the Institute of Certified Public Accountants of Singapore (ICPAS) and the Association of Chartered Certified Accountants (ACCA). Singapore Incorporation Online’s taxation division is staffed by Associate Tax Technicians (ATT), and accredited members of the Association of Taxation Technicians of Singapore (ATTS). Singapore Incorporation Online’s parent company is a licensed employment agency in Singapore, fully licensed by the Ministry of Manpower in Singapore to facilitate the placement of workers for employers and the submission of work visa application. 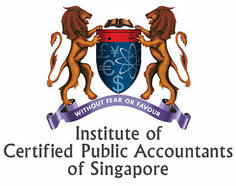 Singapore Incorporation Online’s team is also accredited as professional corporate secretaries by Singapore Association of the Institute of chartered Secretaries and Administrators (SAICSA). Singapore Incorporation Online’s parent company holds a professional ID number which is issued by the Accounting and Corporate Regulatory of Singapore (ACRA), this enables Singapore Incorporation Online to facilitate incorporations and business registrations and provide corporate compliance support to our clients.